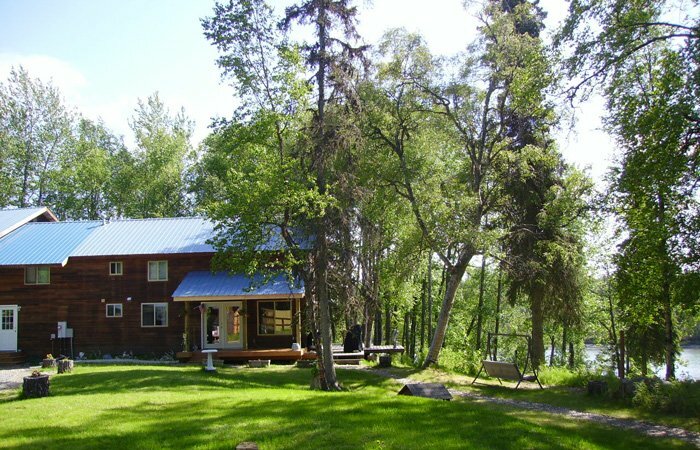 Alaska Riverview Lodge is the best choice for Alaska vacation lodging on the Kasilof River near Kenai, Soldotna, and Homer on the Kenai Peninsula. We provide lodging only minutes away from world-famous king salmon and trophy halibut fishing. For your Alaska fishing vacation stay where you can enjoy the relaxing wilderness of Alaska and the peaceful sounds of the Kasilof River. We invite you to experience it for yourself. With a variety of lodging choices, Alaska Riverview Lodge can host large and small groups. We have accommodations for just one fisherman, or for his entire family. Choose between a full kitchen or just a grill for your catch of the day. When you’re on vacation in Alaska, we know that you don’t want to waste any time. But there are so many guides and charters available that it can be difficult to decide who to hire. We can help connect you with the best guides and companies who have received great reviews from Alaska Riverview Lodge guests and locals, too. 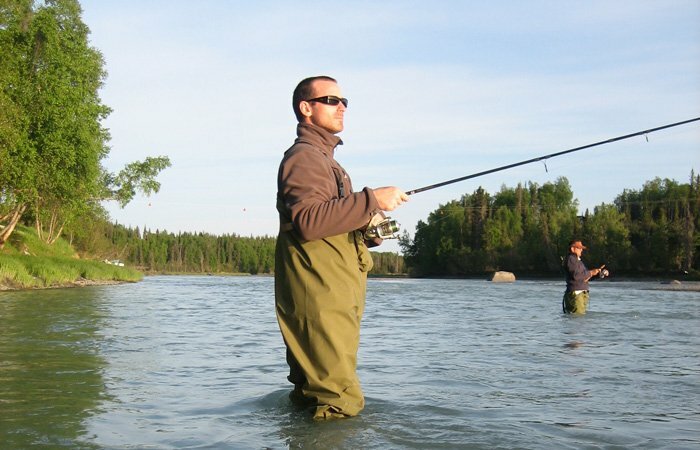 From fully-guided Kenai River or Kasilof River salmon fishing trips, to fly-out fishing, to halibut charters and other exciting Alaska sightseeing adventures, we can help make your vacation memorable. We don’t charge any additional fees for setting up your itinerary and having it waiting for your arrival. Even if you want to just relax on a private dock and enjoy the sounds of the peaceful Kasilof River with a line in the water, Alaska Riverview Lodge can accommodate you. We are located conveniently close to Soldotna, Kenai, and Homer but far enough away from the hustle and bustle of salmon season. Your hosts, Tamera and Robert, don’t invade your space, but are always close when you’re in need. We invite you to share our piece of paradise here on the beautiful Kasilof River. You will arrive as our guests, but it’s our hope that you will depart as our friends. Let us show you why Alaska Riverview Lodge is the best choice for your Alaska vacation. 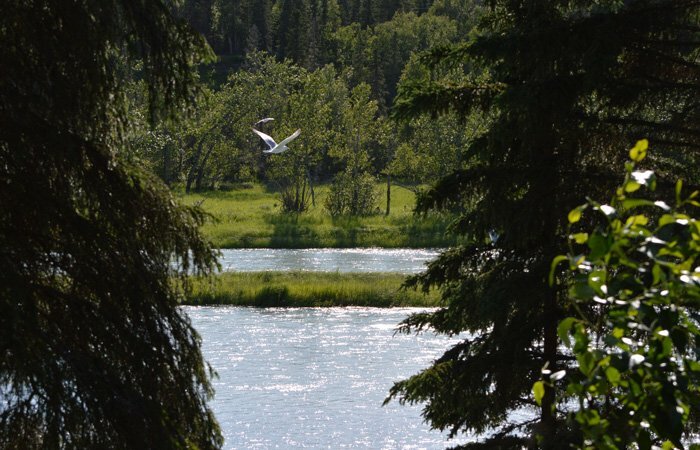 Alaska Riverview Lodge overlooks the Kenai Peninsula's best-kept secret, the Kasilof River, ideally situated between Soldotna, Kenai and several area activities but far enough away from the hustle and bustle of the salmon fishing season to find relaxation. Each of our rooms is furnished with a small refrigerator, microwave, coffee maker and an outdoor grill and freezer for your catch. Private entrance into each room. WiFi available in each room. Rates include breakfast in main lodge served at 08:30am each day. Alaska Riverview Lodge will help turn your dream Alaska salmon fishing vacation into a reality, just tell us what, where and when you want to fish and we will take care of the planning.